The Virgin Gorda Avengers came alive in the second half and held defending BVI Football Association Women’s Football League champs Ball Stars to a 3-3 tie, in their Sunday afternoon encounter at the A. O. Shirley Ground. For favored Ball Stars, it looked like business as usual when Phillia James fired home the opening goal in the 29th minute for a 1-0 lead that they carried into half time. However, in the space of three minutes in the second half, the game changed. Avengers’ Brittany Peters equalized in the 44th minute and James scored her second in the 46th to make it 2-1. Avengers Keithreece Smith scored in the 47th almost straight from the kick off, to make it 2-2. Peters then scored her second in the 67th to give the Avengers a 3-2 lead but a minute later, Emerline Lockhart smashed home a long-range equalizer to make the final score 3-3. 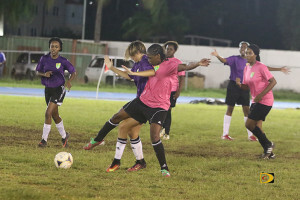 The other women’s game saw Virgin Gorda United—a team with the majority of players under 16—won their first game by beating the Panthers 3-1. 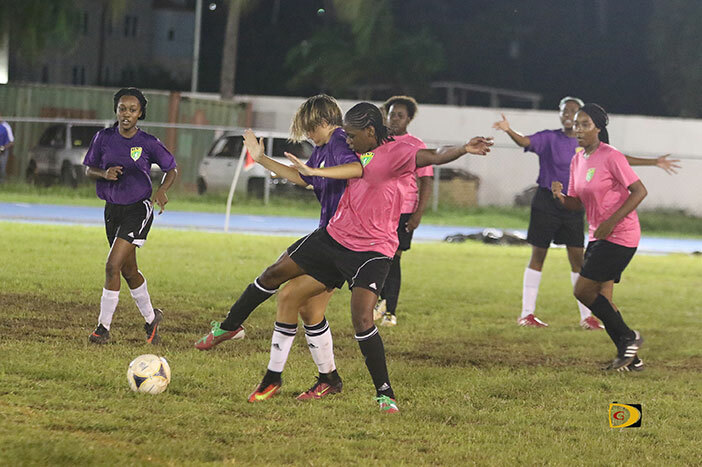 Kayla Skelton gave Virgin Gorda the early lead before the Panthers’ Jacintha Weekes scoring a sublime equalizer. Virgin Gorda went ahead on a rocket shot from Kezia Gumbs in the second half and then put the game to bed when Skelton added her second in the 49th minute to make it 3-1. On the men’s side, Carl Steward had a hat trick in helping One Love end a string of losses by whipping the winless Virgin Gorda United, 10-0. Other goals came from Trevor Ellis, Damien Morgan (2), Oshane Rose, Richard Morgan (2) and Andre Thomas. The Sugar Boys then cemented their second place in the standings with a comprehensive 5-1 win over the Rebels, who suffered their second successive defeat to teams in the top four. Two scores came from Derol Redhead, with others from Michael Bapticho,n Mohamed, Terrance Nanton and Akeem Hendrikson. The Panthers’ dreadful start to the campaign continued unabated as they had no answer to a penalty kick in each half successfully converted by the leagues top scorer, Kenmore Peters and lost 2-0 to Old Madrid.